It can be distinguished from other species by having rusty brown frond scales covering the whole lamina, above and below, and a densely hairy stipe. 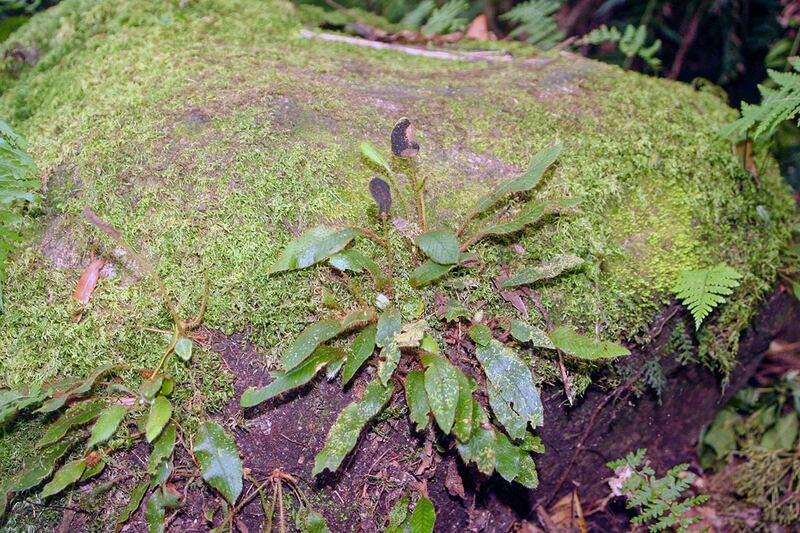 Lithophyte on moss covered boulders or rock faces along streams in deep shade of evergreen forest. Guinea, Ivory Coast, Liberia, Malawi, Mali, Mozambique, Sierra Leone, Zimbabwe. Burrows, J.E. (1990) Southern African Ferns and Fern Allies. Frandsen, Sandton. Pages 292 - 293. (Includes a picture). Jacobsen, W.B.G. (1983) The Ferns and Fern Allies of Southern Africa. Butterworths, Durban and Pretoria. Page 423. (Includes a picture). Roux, J.P. (2009) Synopsis of the Lycopodiophyta and Pteridophyta of Africa, Madagascar and neighbouring islands. Strelitzia 23, South African National Biodiversity Institute, Pretoria. Page 127. Roux, J.P. (2001) Conspectus of Southern African Pteridophyta. Southern African Botanical Diversity Network Report, 13 Pages 151 - 152. Schelpe, E.A.C.L.E. (1970) Pteridophyta. Flora Zambesiaca, 0 Pages 214 - 215.